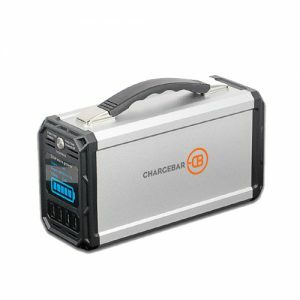 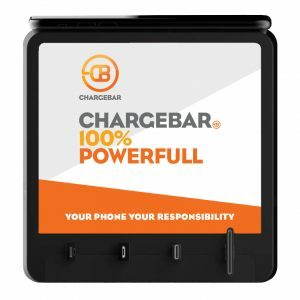 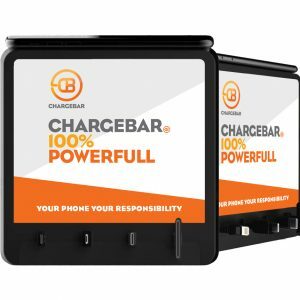 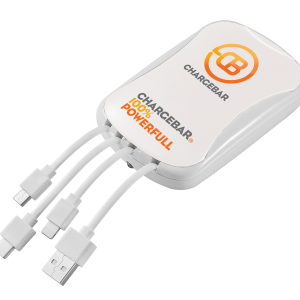 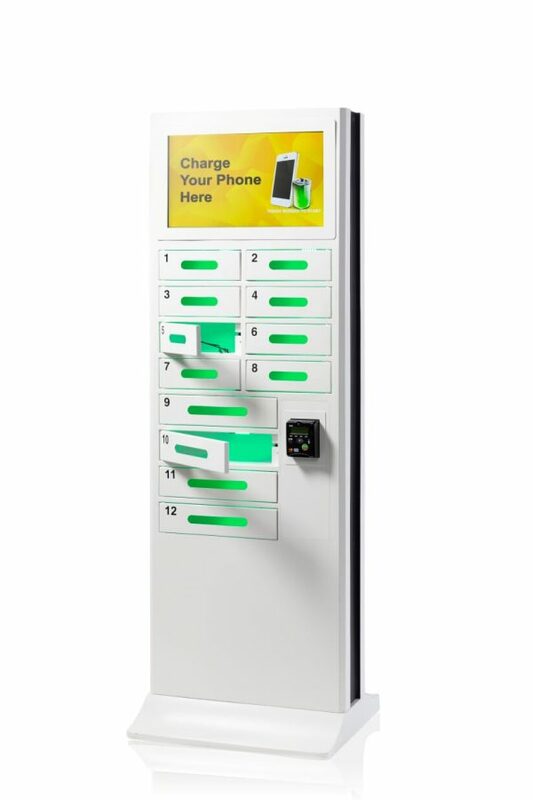 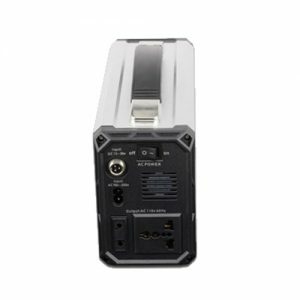 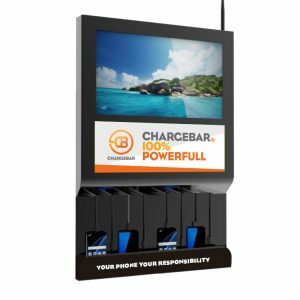 12 Locker Chargebar – When you’re serious about giving your guests the best! This price is the outright purchase price. 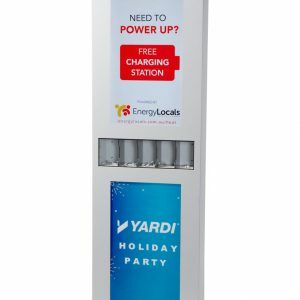 For rentals please call us. 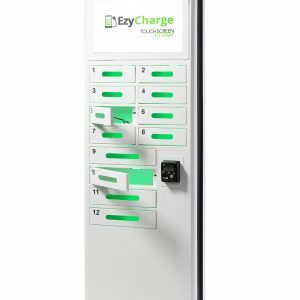 When its’ impact you want then this machine is right up there with the best. If you’re expecting large crowds, the 12 locker system is an ideal extension to your conference or exhibition, giving every patron the chance to get back up and running in no time. 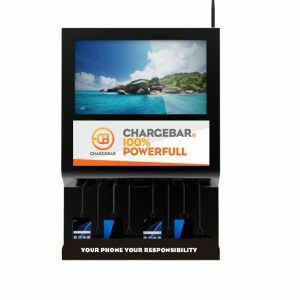 With full branding available, including digital, guests will be entirely engaged. 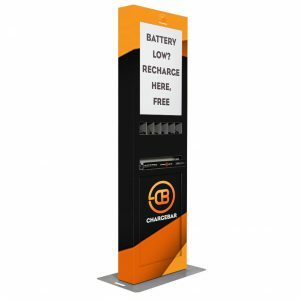 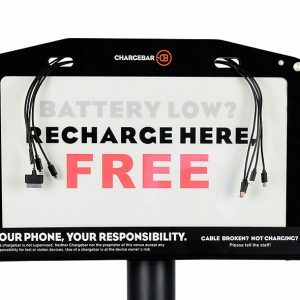 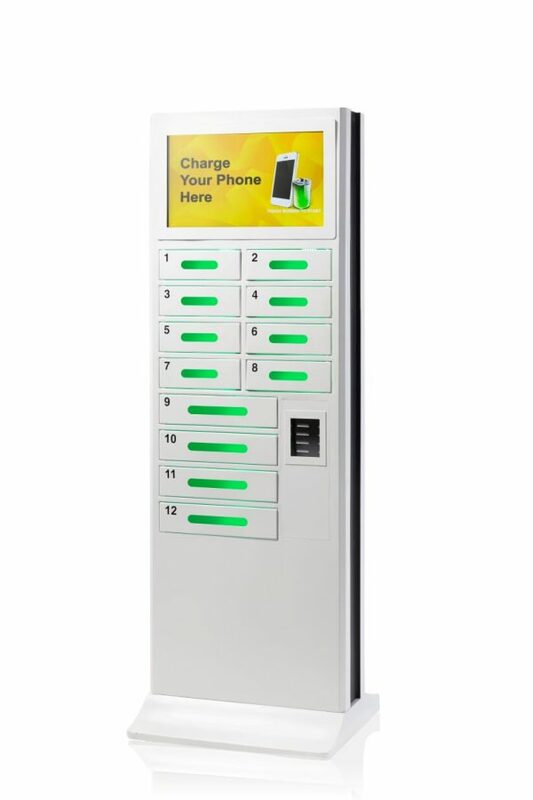 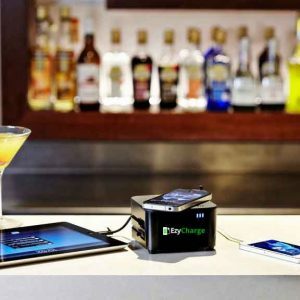 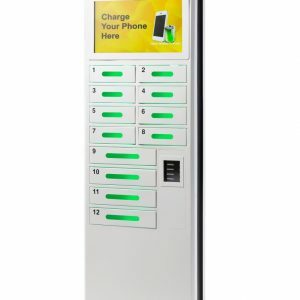 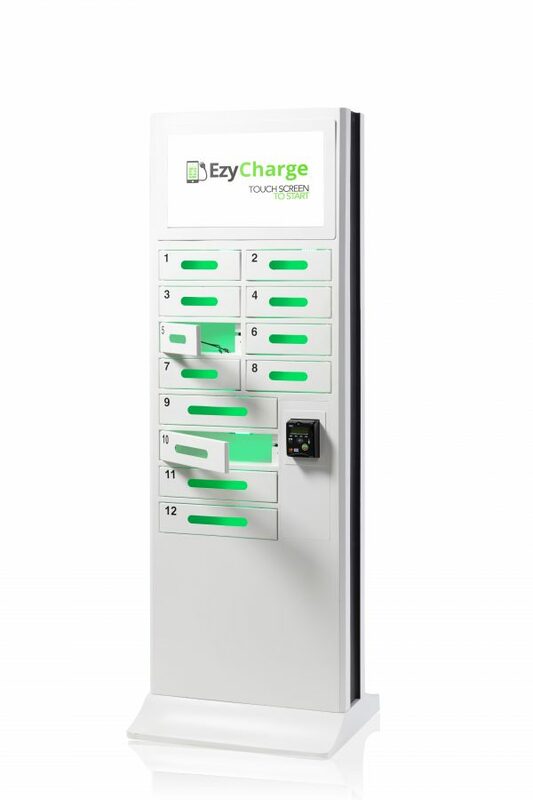 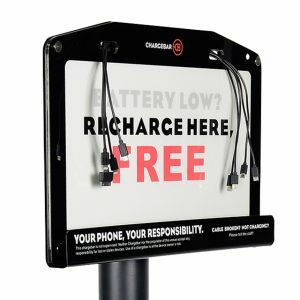 Whats more, the impact of a FREE TO USE charging station gets the approval of guests across the board. 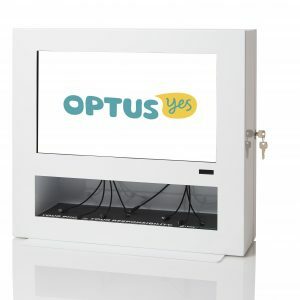 With a perfectly secure system, they are assured of peace of mind whilst they continue to browse the halls or engage with you and your team. 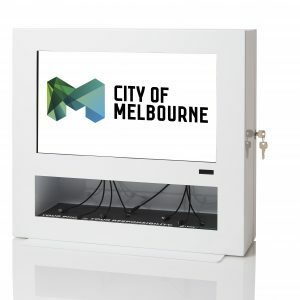 Digital Screen for maximum engagement. 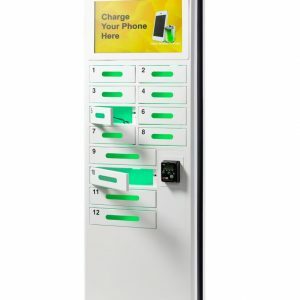 12 secure lockers free to use.